Long-time eNCA news anchor Iman Rappetti's clearly had enough of slumming it on her couch in the evenings because she's back on the channel with a new 21h30 show. As you may know, Iman quit anchoring the news in March 2017 to focus on her family and to publish an autobiography while continuing her radio broadcasting on PowerFM. 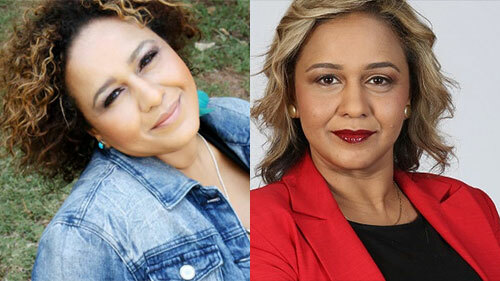 She returns to TV news with Madam Speaker, a panel discussion-type talk show. Iman will put newsmakers through their paces in front of a small group of ordinary South Africans. After her interrogation, the audience panel will have their chance to put their questions forward and state their views. Weekly topics will range from politics and the economy to pressing social issues as well as arts and culture and religion. The idea is to give concerned citizens a chance to hear first-hand how real problems are being dealt with at the highest level and the opportunity to talk back. Madam Speaker will also have a strong social media component, and eNCA’s viewers will have a chance to engage with all the guests. It airs Thursdays at 21h30 from 22 November 2018. Her return makes us hanker for the return of someone else... Debora Patta!